You are the author of the chapbook Fun Times in the Wild (Unknown Press) and Or Something Like That (Unknown Press), both published by your press, as well as the two novels, the book F 250 (Piscataway House, 2014), Tollbooth (Piscataway House, 2013), a full-length collection of poetry Everything Neon (Marginalia, 2014), and two additional collections Tables Without Chairs (House of Vlad, 2015) with Brian Alan Ellis and a forthcoming novella, I’m From Electric Peak. What did you learn in school about the chapbook? I didn’t learn about chapbooks in high school and that’s as far as I got. I started making them to give out for free at readings, especially bookstores, where I’d make up a chapbook of the set I was going to read (Fun Times in the Wild, is just some of the newer short stories I love to read). I give the chapbook to anyone who buys something from the book store. A way to support the venue that is cool enough to have the reading. 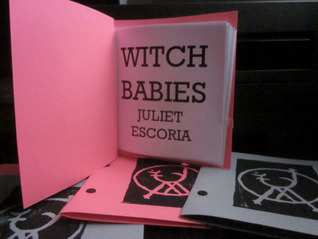 I’ve made other chapbooks from time to time and there always, just a set. Like … Hey thanks for saying you liked the reading and asking what book that piece is in, but since it won’t be in a proper published book by a press, here’s a DIY chap I made last night so I wasn’t reading off my phone. I’m reading your chapbook Fun Times in the Wild. I had the chance to hear you read the opening short story “Tiger Blood” at Small Prestivus this summer. This story, as well as others in the chapbook, take surreal and strange turns that are imaginative, quirky, and provocative. What contemporary writers do you admire who do similar work? Thanks, for the kind words. “Tiger Blood” is a story about a guy who goes on a first date with a girl who reveals that she has tigers that live in her blood cells, he counters with the revelation that he eats rocks to help him digest. Quirky fiction where the strange and surreal surface, still remind me of the real world, because sometimes in real life, a person can just look around and say ‘wow this whole being alive thing is such an insignificant joke, any second now I’m going to vaporize into dust, it’s all meaningless and all I can do is laugh at myself and laugh at everyone around me, and peel back the regular scenery of this life to reveal representative joy and sadness’. This realization might happen at the super market or it might happen while driving to or from work. What can you do after that thought pops in your head? Fun Times in the Wild is a wacka-doo look at the seemingly mundane. Its characters and events are perhaps happening in some dream world, but the implications of what it means to be mortal, lonely and alienated/oppressed are true to what it means to live on this planet at this moment in time. Some great writers who are doing this same style are, Ben Loory, Amelia Gray, Matthew Simmons, Aimee Bender, Dolan Morgan and Amber Sparks just to name a few. I first found my way into imaginative literature from reading Kurt Vonnegut, he’s dead now, but don’t tell him I said that, I’d hate to discourage him. The stories in your chapbook are playful and surprising. Discuss your day-to-day writing process. I write on my cellphone usually, in the notes app. The short stories in Fun Times were written typically, first drafts taking 15 minutes or so and then revised here and there over time. My daily writing approach is just to always have my phone on me and to write a story or poem if it comes. And to do it quick. As far as approach I usually write a story because it feels like a stupid idea. I like to bend stupid ideas, into something that might have a little shiny gem about it somehow—a man finding a talking seashell that negatively influences his life; a girl raises an eagle from a hatchling to a dragon-size terror; a spaceship lands in a man’s yard and no one can see it but him … These all start as little scenes of what would be C movies in my mind and I just slap the stories down as fast as I can, pretty much just trying to keep up with the absurdity as it zips by. How do you define chapbook? Little book you make yourself or with a cohort. What makes a good chapbook? Can read it all on a lunch break. Or in between green lights. What chapbooks are inspiring you these days? 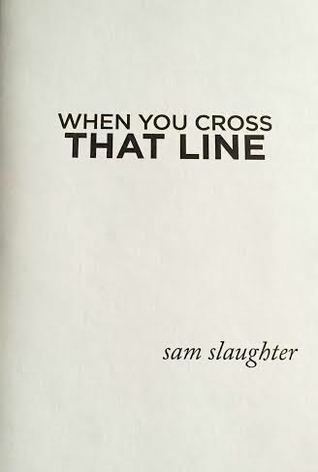 Sam Slaughter’s short story chap When You Cross the Line and the recent chap by Juliet Escoria, Witch Babies. What do you look for when you put together a chapbook? Strong theme. A collection of punk songs or Loony Toon cartoons. How are you trying to get better as a chapbook poet? Always go a little crazier. Be messier. Not take any of it too serious. Trust muscle memory. What’s next for you? Working on a novel about the dirt road I grew up on and the campground we lived in for a while. Bio: Bud Smith is the author of the novels, F 250 and Tollbooth, the short story collection Or Something Like That and the poetry collection Everything Neon.